ABX Magic EP Out Now - Stream & DL > http://smarturl.it/c2t7f0 Feat the tracks Magic / Spaceboy / Delta Beach / Juno Jammer / Can You Feel It - e: info@andyabx.com | www.andyabx.com - New Trax for 2019 inc Magic EP and collab with @UniversalSolution 'Horizon Coast' - Melodic prog goodness! ---------------------------------------- AKA @FutureLions / StaticShock / Starjackers / West End Hustler / Eat Disko / Z2 / Ex-Solarstone 96-07 / Young Parisians / Skyscraper / DMAB / Top Secret / Francois De Cruz / Bass Oddity / Space Kittens / Liquid State +++ - - - - - ABOUT Having amassed a glowing catalogue of tracks to his name, UK DJ & Producer Andy ABX has been responsible for creating many anthemic club moments spanning over the past two decades which continue to gain support from some of the worlds biggest DJs ranging from Tiësto through to Fatboy Slim, with many productions having featured on countless compilations- including albums from club super-brands such as Ministry Of Sound, Gatecrasher and Cream. His DJ career has also seen him spin for some of the biggest clubs and parties throughout every corner of the globe.. supporting and playing alongside the likes of superstar DJs Eric Prydz, Above & Beyond and Armin Van Buuren to name a but a few. Starting out as a DJ on the pirate FM scene, his recording career began with the group 'Space Kittens' - kicking off with the 90s club hit 'Storm' on Hooj Choons which shortly followed with a series of high profile remixes. By the early noughties Andy went on to enjoy worldwide success producing and DJing as one half of legendary prog-trance duo 'Solarstone' after breaking the top 40 with the classic 'Seven Cities' along with a top 10 remix of Planet Perfecto 'Bullet In A Gun' and a gold-selling 'Euphoria' compilation album. 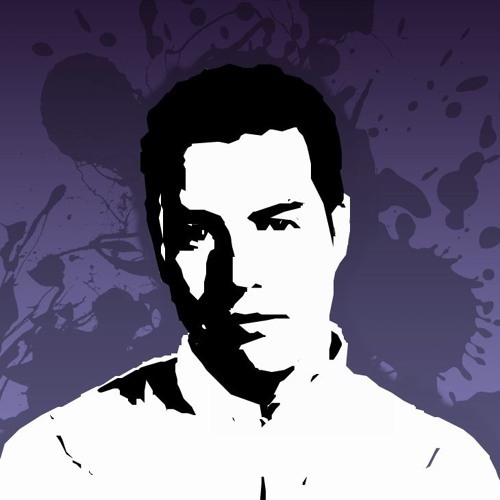 Since his artistic departure from the trance scene, Andy has continued success with Starjackers (2 download No.1s !!!!) and remixed for mainstream artists such as Beyonce, Rihanna, Calvin Harris, Lady Gaga and Muse. Keeping his finger on the pulse he also works behind the scenes with a variety of cutting edge labels and artists, including legendary 'peoples DJ' Micky Slim, co-running the electro / house label 'Bomb Squad'. At time of writing his forthcoming track with long-term collaborator Dom Bud 'Something Happening' has been supported by Fatboy Slim as being "one of the big tunes of the year!". Future projects include a new track with 'Queen of House' Tara McDonald for Ministry Of Sound/Hed Kandi... plus a plethora of hot new tunes with fellow-London producer Dan McKie, as well as some stellar productions with Richie Kayvan (Vada, Dogzilla) as @FutureLions. It's all good!